Flanged fixed posts require bolting down to a suitable concrete surface (no less then 300mm cube) by means of four M12 bolts. Ragged fixed posts are supplied with welded fixing spikes to ensure firm ground anchorage. Ragged post require a hole of at least 500mm deep for casting into concrete. This product is guaranteed for 12 months (if installed and used correctly). 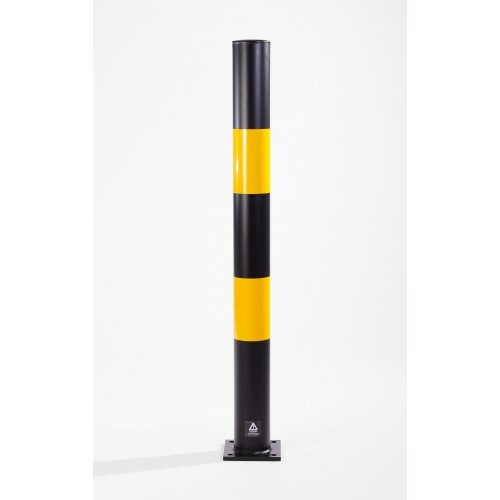 Autopa RetractaPost 500 - 60mm This retractable post is a cost effective and simple but a highl..
Autopa RetractaPost 745 - 90mm This retractable post is a cost effective and simple way to..
Autopa RRP Removable Parking Post This parking post is generally kept in place over night and r..
Autopa Recycled Plastic Bollard The chamfered, domed top and diamond bollards come with 3..
Bollard Sleeve 126mm These plastic sleeves are designed to protect steel bollards from the elem..
Bollard Sleeve 183mm These plastic sleeves are designed to protect steel bollards from the elem..